Oprah announced today that she's going vegan for at least 21 days. She's even acknowledged that evolving to "conscious eating" means more than just being conscious of yourself and your choices - but conscious of the animals whose bodies are milked dry, tortured and bled, and pulverized for gluttony. The good news about this is, of course, the far-reaching influence of her example. My brain grew this much. "...this first day wasn't hard at all. For breakfast, I had steel-cut oatmeal with fresh blueberries, strawberries, chopped walnuts and a splash of soy milk and some agave nectar. For lunch, chunky mushroom soup with wild rice and pecans. As a snack, a handful of roasted almonds. And for dinner, a baked potato drizzled with olive oil, salt and pepper with a salad of shredded lettuce, cranberries, pine nuts and tiny orange slices with a vinegar and oil dressing.Very satisfying." So why is Oprah doing this? 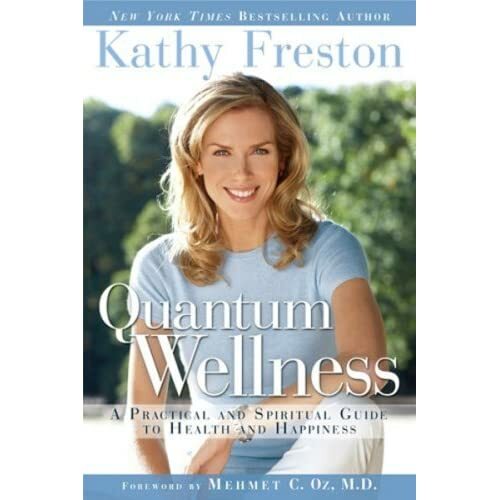 In her book Quantum Wellness, best-selling author and spiritual counselor Kathy Freston suggests trying a 21-day cleanse as a way to jump-start an inner makeover. She was a guest on Oprah and was pretty convincing.